We seek to honor Jesus Christ in all we do and say. We seek to be a light to our community for those around us. We seek to walk with one another as disciples of Jesus Christ. And to do all these things loving one another and loving Jesus Christ. Grace Church is located at 360 Hopkins Road in Kernersville, NC. Grace hopes that you are warmly greeted and welcomed. If there is anything that can be done to be better at that, please let us know. 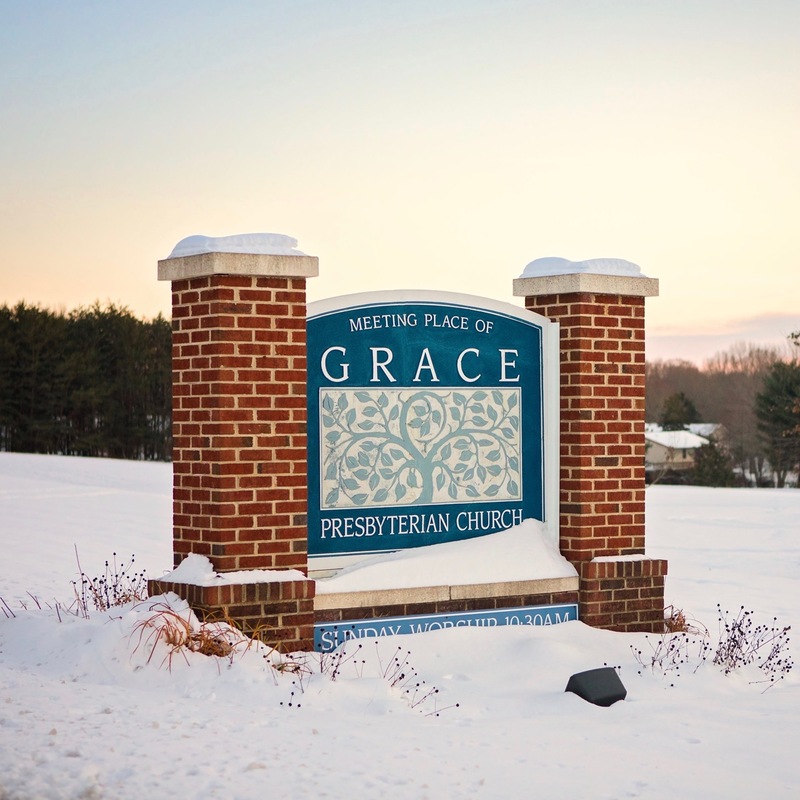 Grace Presbyterian Church longs to make the amazing grace of the good news of the gospel known. As we look at the brokenness around us, in our relationships, work, world, and even our own hearts, we oftentimes are left asking, Who will make this right…who can make me right? The good news is that though we are unable to fix, mend, and heal, God is both able and willing. 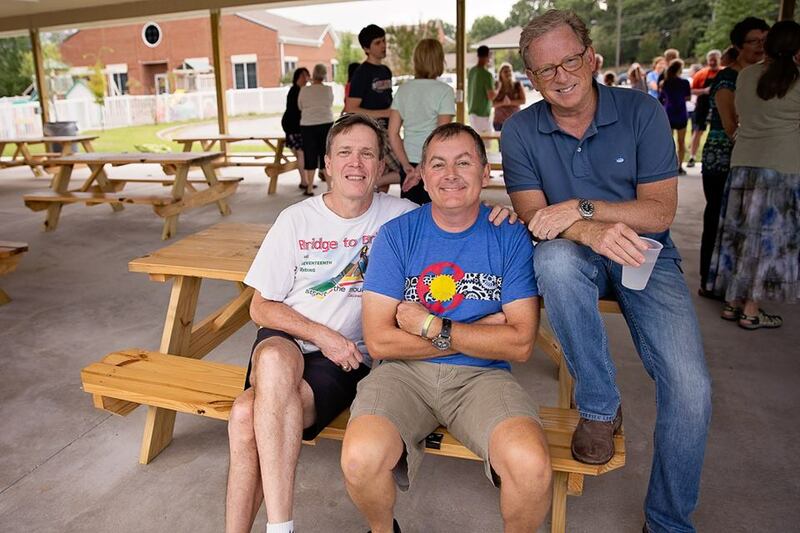 GPC is not a place of people who have it together, but rather a place of those who are seeking God’s amazing grace. Wherever you find yourself in this journey, we will walk with you as God transforms us together and magnifies his grace in and through us. Beginning today, Ash Wednesday, GPC will be installing its Lenten art exhibit, Ashes to Eternity. The artwork on display is a collection of pyrography by Asher McClain, poetry by Pastor Randall Edwards, and abstract weavings by Jennifer Edwards. Each week and each Sunday and special day from Lent to Easter, additional pieces will be installed in order to visually mark our progress into the celebration of the resurrection. The themes which the artists have focused on are: ash, baptism, wilderness, temptation, pilgrimage, palm, love, rent, and resurrection. If you would like to view or download the exhibit’s brochure which includes pictures of the artwork, poems, and descriptions, you may do so HERE. 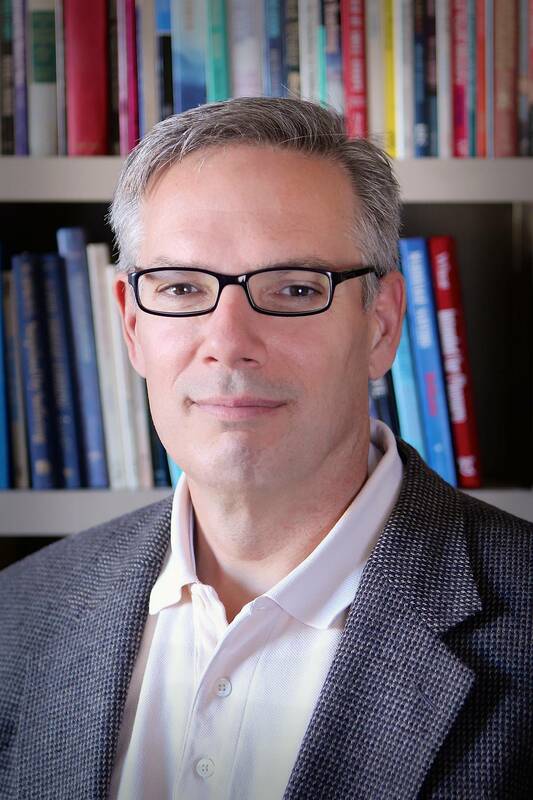 During the Lenten season, Pastor Edwards will be leading two discussion groups of C.S. Lewis’ book The Silver Chair from the Chronicles of Narnia. The first group will meet weekly on Tuesdays from Noon to 1pm at the Paddison Memorial Library beginning March 5. Bring a sack lunch if you like. We will be meeting in one of the conference rooms. The second group meets weekly on Wednesday evenings from 6:00-7:30pm beginning March 6 at the home of Pastor Edwards. Please RSVP to Pastor Edwards to let him know you are coming. For our first meeting we will be discussing the first two chapters. Hope to see see you there! and the good of their children after them. Through the season of Advent, GPC artists, Asher McClain and Adah Freeman, will be installing an art exhibit to help GPC walk through the season together as we continue in the book of Jeremiah. 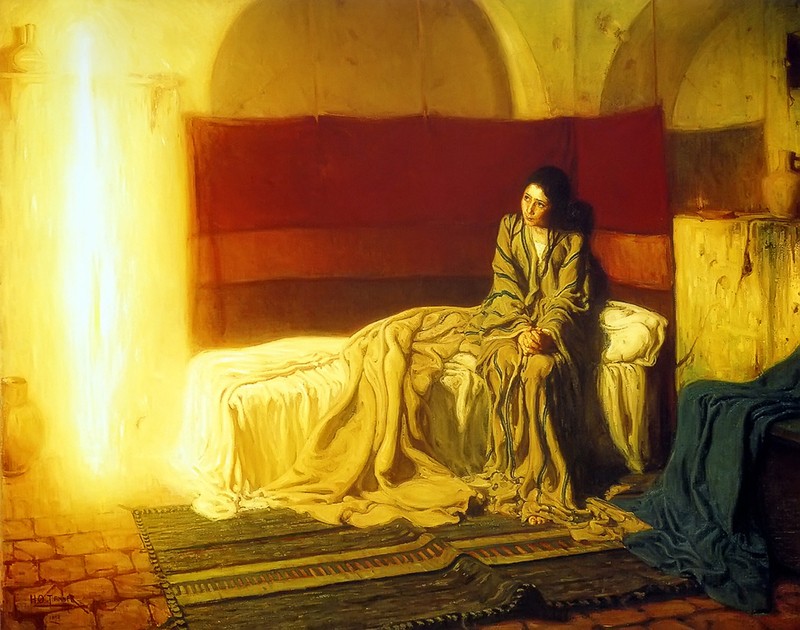 Focusing on the hopeful passages within the heart of the book of Jeremiah (Jeremiah 30-33), the artists will be pointing us to the promises found therein as well as pointing us to the One in whom the promises are fulfilled. 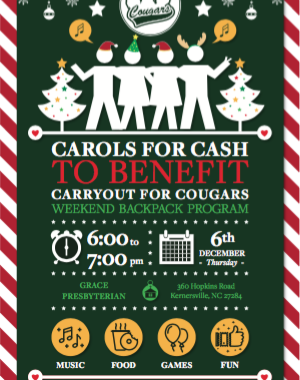 On December 6, 2018 from 6:00-7:00pm, Grace Presbyterian is hosting, Kerwin Baptist, Fountain of Life Lutheran, and friends of Cash Elementary who are all gathering in support of Carryout for Cougars, Cash Elementary’s weekend, backpack feeding program. Over 60 children participate in Carryout for Cougars, and it costs $200 per year to feed one child. We have a great need and a great opportunity. We will be celebrating with music, games, and refreshments. Join with Grace, Kerwin, and Fountain of Life as we enjoy the partnership of giving and sharing in response to the greatest gift given for us, Jesus Christ. This week GPC is beginning a new series on Psalm 119 for Ordinary Time titled, The Disciple’s Alphabet. The title draws from the fact that Psalm 119 is an acrostic poem. That is, the psalm is written in twenty-two, eight verse sections in which each section’s lines begin with the same letter of the Hebrew alphabet Beginning with aleph the psalm continues in sequence to the alphabet’s end, tav. I thought it wouldn’t be a bad endeavor to acquaint ourselves with the Hebrew alphabet, and so we will be working to learn it. As we all know the English alphabet by the song we first learned, Michael Kuehn has recorded the Hebrew alphabet as I learned it in Dr. Pratt’s Introduction to Hebrew class at Reformed Theological Seminary in Orlando. You may listen to song via the player below and download the lead sheet below. Enjoy!